You do not necessarily need the newest technology in order to implement energy efficiency principles in your home. The following pictures reveal a well-known building technique that can easily do the task- earth-sheltered homes. These homes are comfortable, weather-resistant, tranquil, and relaxing. Also, they are eco-friendly and low-cost housing alternatives. They can be of two types: underground and bermed. When the entire earth-sheltered house is built below grade or completely underground, it’s called an underground structure, while a bermed house may be built above grade or partially below grade, with earth covering one or more walls. “An earth-sheltered home is less susceptible to the impact of extreme outdoor air temperatures than a conventional house. Earth-sheltered houses also require less outside maintenance, and the earth surrounding the house provides soundproofing. 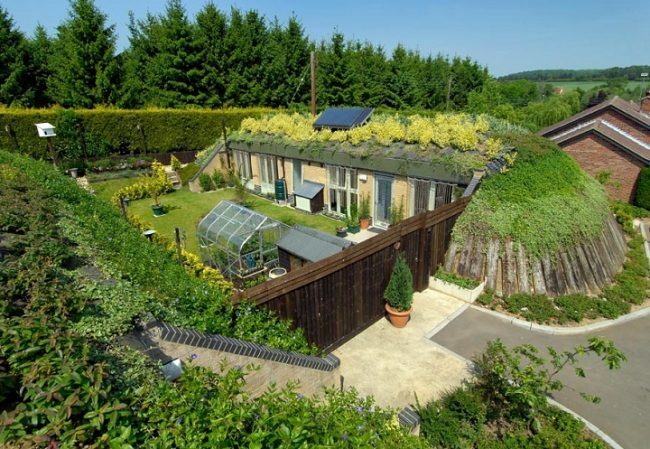 The following earth-sheltered, earth-roofed homes will impress you! 1. This tiny underground earthbag house is located in the Rhiannon Community in Ecuador. 2. 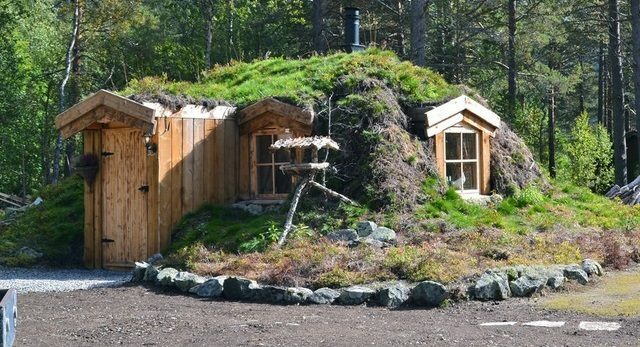 This romantic Norwegian earth-sheltered hut is built in Hol, Buskerud, Norway. 3. 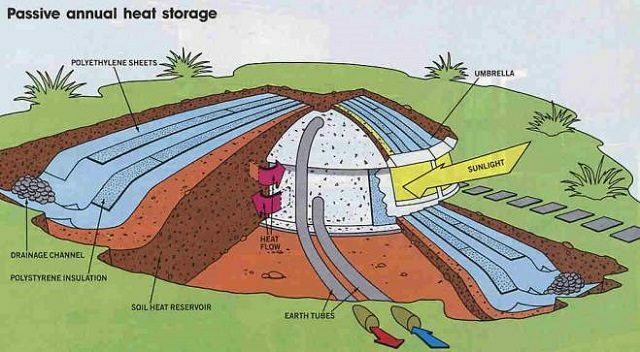 The Umbrella Home: A Simple Underground House Design- The “umbrella” is hidden in the earth that stands for the roof of the house and insulates the soil around the building. 4. Honingham Earth Sheltered Social Housing- this is an example of the UK’s first earth-sheltered social housing scheme. The home has two bedrooms, with a high thermal mass superstructure, and super-insulation, which reduces the total annual energy consumption by two-thirds of conventional home usage. 5. 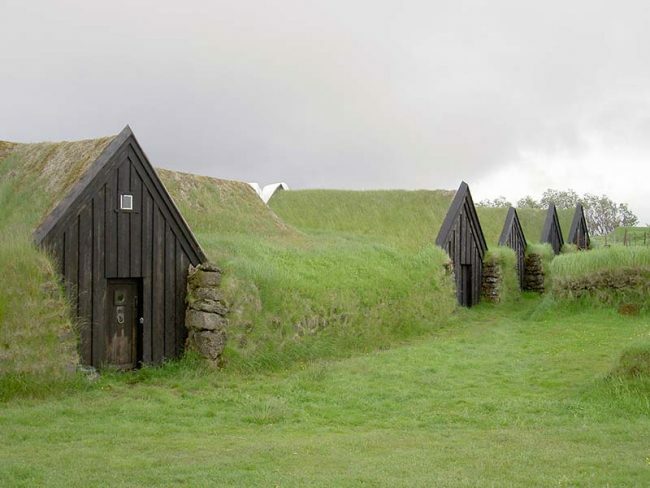 Keldur Turf House in South-Iceland- This historical farm of Keldur is the oldest turf or sod house in Iceland.